A SUSPECTED robber who was shot by detectives while fleeing after he allegedly raided a bar in Zvishavane and looted beer, is suing Home Affairs and Cultural Heritage Minister Cain Mathema and Police Commissioner-General, Godwin Matanga, for $15 000. Happison Masuku (49) allegedly robbed Zivanai Bar and General Dealer Shop at Mabwematema Business Centre in Zvishavane. He was shot and seriously injured by police as he allegedly tried to avoid arrest in September last year. Masuku allegedly assaulted and robbed a barlady, Ms Audrey Muzamani of beer, cellphones, a plasma television, an amplifier, batteries and boxes of cigarettes among other items on September 12, 2018. He allegedly forced Ms Muzamani to unlock the door and assaulted her with a metal bar. Masuku is alleged to have covered her face with a blanket as he went about looting valuables from the bar and the grocery shop. He allegedly took $600, three cellphones, buster batteries, swiping machine, a 32inch LG plasma television set, an amplifier, memory cards, 21 crates of assorted clear beer, three cases maheu traditional brew, two cases sterilised milk, three packets of snacks, four boxes of biscuits, 12 packets of chocolates, 10 packets of cigarettes, 17 bottles of assorted cane spirit and six packs of energy drinks. He then allegedly went to Zivanai General Dealer on the same day where he robbed Ms Thandiwe Nyoni of groceries. Masuku was cornered by police as he tried to escape and was shot in the thigh. 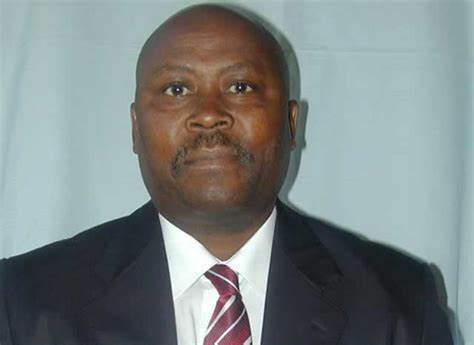 Masuku, whose matter is still pending before the court, has through his lawyers Mutendi, Mudisi and Shumba Legal Practitioners, filed summons at the Bulawayo High Court citing Minister Mathema, Comm-Gen Matanga and four detectives only identified as Detective Sergeant Sibanda, Detective Constables Chishuwo and Moyo, as defendants. He is seeking an order compelling the defendants to pay him $15 000 compensation for damages arising out of excessive force without any lawful cause, loss of dignity, degrading treatment and failure by police to perform their constitutional duties. In papers before the court, Masuku said he suffered permanent injuries as a result of the gunshot inflicted on him. “The detectives who arrested me acted in a manner inconsistent with their constitutional obligations as members of the Zimbabwe Republic Police. This abrogation of constitutional duties directly led to the injury and loss suffered by the plaintiff. The detectives acted in pursuant of Minister Mathema and Comm-Gen Matanga’s interests and therefore they are vicariously liable for the excessive and unnecessary use of force beyond the justifiable scope of the detectives’ duty,” said Masuku. He said the defendants are jointly and severally liable for the payment of the claim, one paying the others to be absolved. Masuku said the three detectives are being sued in their personal capacities. “Wherefore, the plaintiff prays that the damages in the sum of $15 000 arising from the excessive use of force without any lawful cause, loss of dignity and degrading treatment be paid by the defendants jointly and severally liable for the claim one paying the others to be absolved,” he said. Masuku wants the defendants to pay the money with an interest of five percent calculated from the date of summons to the date of full and final settlement including the legal costs.